In the 25 years since the Autism Society Philippines began its advocacy, many international and local initiatives have been created for the benefit of persons with autism. Here are some important annual observances every well-informed advocate should know. 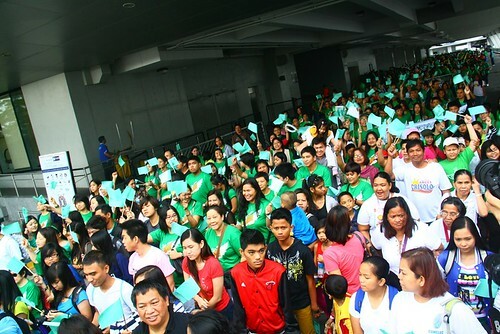 held during the National Autism Consciousness Week. Autism Sunday, also known as the International Day of Prayer for Autism is observed annually on the second Sunday of February. It was initiated in 2002; and was first celebrated in the United Kingdom. World Autism Awareness Day is on April 2. It was adopted by the United Nations in December 2007. The observance aims to raise awareness of autism on all levels in society and is participated in by UN organizations, member states, NGOs and private and public organizations. As per Proclamation No. 1870 (1979), Proclamation No. 361 (2000) and Administrative Order No. 35 (2002), the NDPR Week is being commemorated annually every July 17 to 23. It aims to stimulate public awareness on the issues and problems of disability, thereby encouraging every citizen of the country to take active responsibility in the upliftment of the economic and social conditions of PWDs of our society. It culminates on the birthdate of Apolinario Mabini. International Day of People with Disability on December 3 is an international observance promoted by the United Nations since 1992. It has been celebrated with varying degrees of success around the planet. The observance of the day aims to promote an understanding of disability issues and mobilize support for the dignity, rights and well-being of persons with disabilities. Advocates should also bookmark the Autism Society Philippines’ calendar at http://bit.ly/asp-calendar. See you at our next event!